The paper entitled “Enhanced targeting of triple-negative breast carcinoma and malignant melanoma by photochemical internalization of CSPG4-targeting immunotoxins” by Marius S. Eng et al. was a joint academic-industry effort including collaboration with the Ferronel lab at Massachusetts General Hospital/Harvard Medical School, the Rosenblum lab at MD Anderson Cancer Center, the Mælandsmo lab at Oslo University Hospital (OUS), the Imaging Facility at the Institute for Cancer Research (OUS) and PCI Biotech. 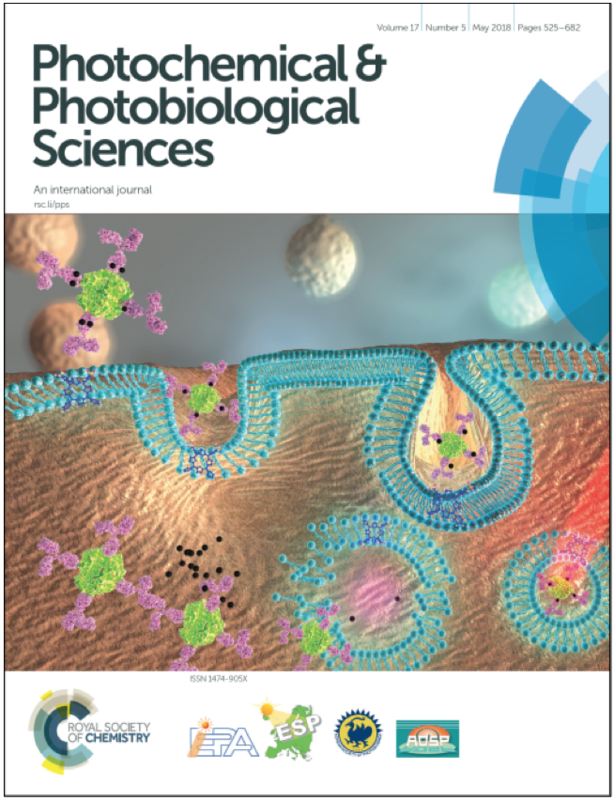 The manuscript was published in the May issue of Photochemical & Photobiological Sciences (The Royal Society of Chemistry), which is a society-owned journal publishing high quality research on all aspects of photochemistry and photobiology. In this work, we aimed to use the drug delivery technology photochemical internalization (PCI) in combination with immunotoxins (antibodies or antibody-fragments bound to ribosome-inactivating protein toxins) for light-controlled targeting and elimination of aggressive and therapy resistant cancer cell types, one of them called triple-negative breast cancer (TNBC) and the other amelanotic melanoma. Over 50% of TNBCs have been shown to express the antigen Chondroitin sulphate proteoglycan 4 (CSPG4), also known as NG2, which is widely expressed on melanoma cells. The efficacy and specificity of the PCI-based targeting of CSPG4 was found very promising, and may represent a rational strategy for the elimination of aggressive and therapy-resistant TNBCs and malignant melanoma. First author Marius Eng is a former master student of Selbo.